I have included here all the important files even the TWRP version 3.0.0.0 recovery included. this kernel meant to be to the users who has issues with deep sleep and SOD. Is it enough to flash boot.img you linekd, via twrp? can you explain what you mean?? , i ma lost,, what do u mean by LP kernel ??. I mean lollipop kernel will cause bootloop on marshmallow. but to make it run on my cm13 u need to install mali fix too and cams fix plus you have 3 resources files try any one of them and see the results . 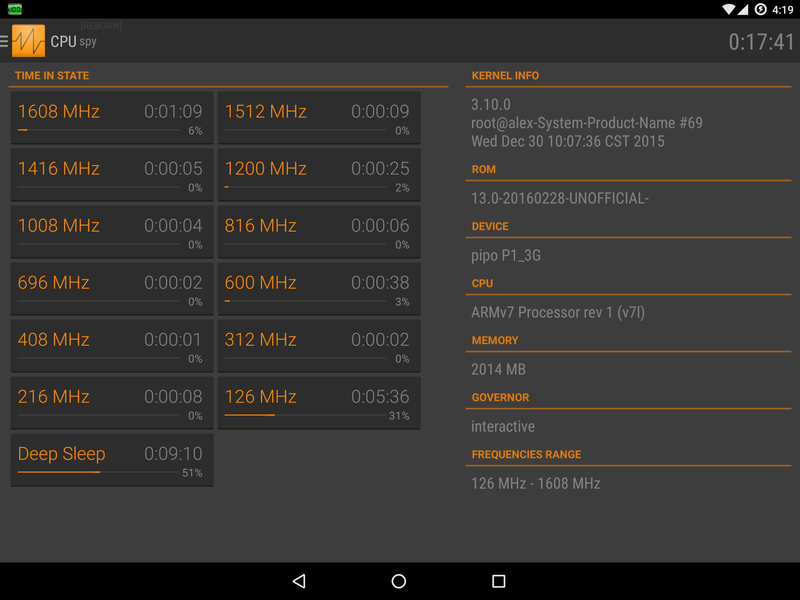 i recommend testing on LP or MM not on CM13 , this kernel dose not meant to run on Cm13_P1 made by me. Can you please pack all above into one, single twrp ready zip, that can be applied on your cm13 build? if i do, where is the fun in that,, i thought this for experimental so you can know more about the tablet and how it works. ,, just flash a stock LP and replace the kernel ,resource and the boot for first try .